Shuya Sanitary pads are what happens when you take leak protection to the next level. 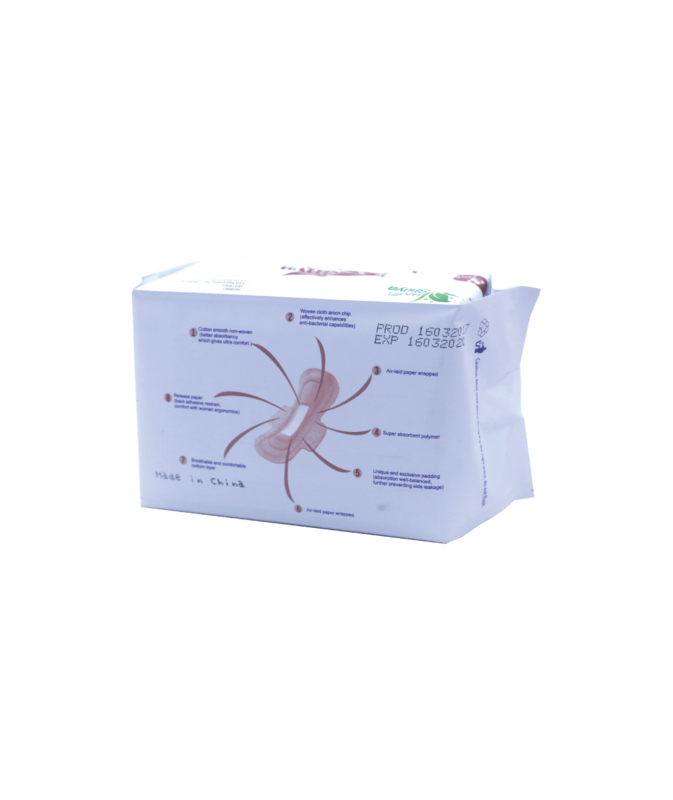 A feat of women hygiene engineering, Shuya Anion Sanitary Napkins are a new generation of sanitary pads equipped with far infrared rays (FAR-IR) and an anion chip that emits negative ions, so they double as physical and mental health enhancers while offering you the secure leak protection you need. Negative ions are in the air that we breathe as well as in our bodies. They neutralize free radicals (positive ions), revitalize cell metabolism and enhance immune function, as a result, they help to improve your health and boost your mood. In addition, they purify the blood and balance the autonomic nervous system, promoting deep sleep and healthy digestion. In order to ensure our health and well being, it is crucial that we surround ourselves with a sufficient amount of negative ions. In addition to wearing Shuya Sanitary Pads, which produce negative ions and may improve their levels in our bodies, eating clean, healthy, alkaline-producing foods can also increase our negative ion levels. Excellent for night time usage, these extra large Shuya Sanitary Pads features a silk absorption surface that absorbs moisture up to three times faster than typical pads, as well as a breathable leak-proof bottom layer, to give you secure and ultra comfy all-night leak protection.